Gift Vouchers for Chapel Cottage Studio are available from just £10 and make a fantastic versatile gift. Book for a specific class or allow the recipient to choose how to spend their gift. IMPORTANT: Our vouchers are available in multiples of £10 (i.e. if you purchase 5 you will receive 1 voucher for £50). If you require separate vouchers, please purchase them separately. 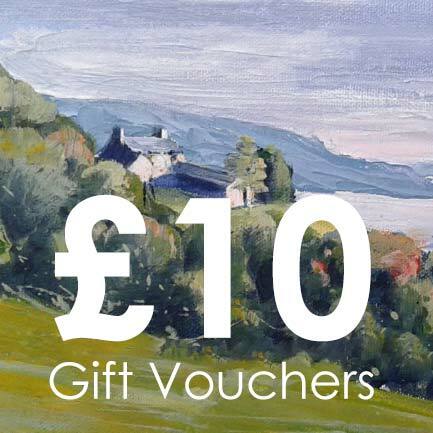 Vouchers can be used towards materials from our Studio shop as well as greetings cards, paintings, prints, classes and even the painting holiday! Get in touch to purchase vouchers over the phone, or purchase online at our website.